On my recent trip to Texas, I got to try a bunch of brews. 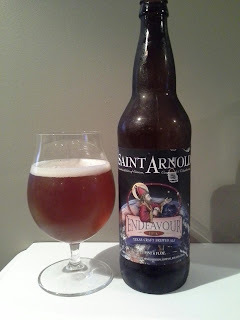 One new-to-me one was Elissa by Saint Arnold (OK, but I wasn't blown away). My new pal in beer, John, also sent me home with a couple more, this being one of them. This double or imperial IPA is made with Simcoe, Centennial, & Columbus hops. 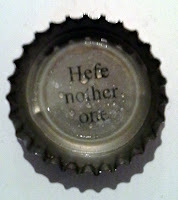 It's clear, with a ruby-orange hue, and a small head, which leaves dots of lacing. 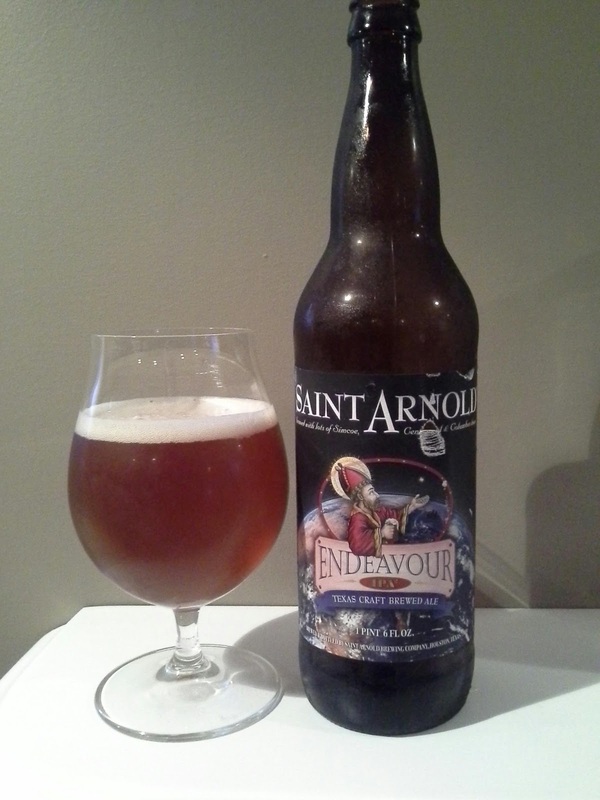 The aroma is a bit subdued, with notes of orange, pineapple, and an undercurrent of toffee. The flavour? Juicy. It's fruity (see above), and quite sweet - almost that strongly sweet & hoppy barley wine territory. The alcohol's hidden well, but a bit of the heat does come across with the increasing bitterness. The body's medium, the finish is fairly slick, and the carbonation is on the light side of medium. Overall - what a winner. It's fruity, malty, bitter, sweet, and strong, without being overly so in any of those areas. What a well-balanced, great brew.